Embrace classic Hollywood style with this 1940s inspired vintage bracelet. 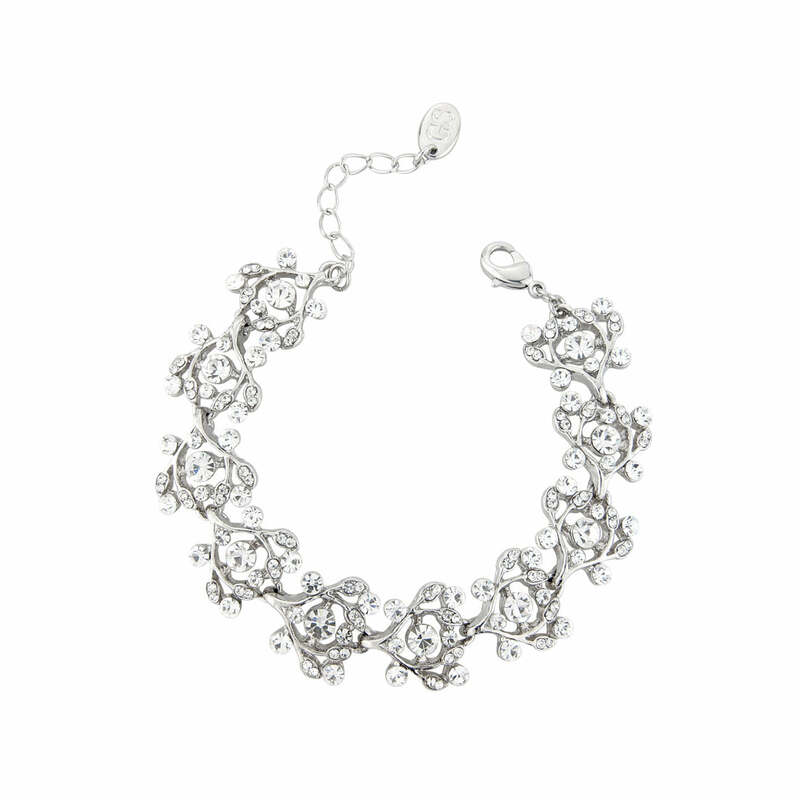 Inspired by the classic glamour of the silver screen, our Bygone Beauty Bracelet is timeless and elegant. Featuring an ornate silver tone design scattered with sparkling Austrian crystals, embrace the beauty of 1940s Hollywood. Perfect for adding a touch of vintage glamour, this pretty piece looks fabulous for special occasions from a dinner date to a glitzy black tie affair. A beautiful wedding bracelet for the bride who adores Silver Screen Starlet style, coordinating with crystal bridal earrings and a headpiece for classic old Hollywood style.